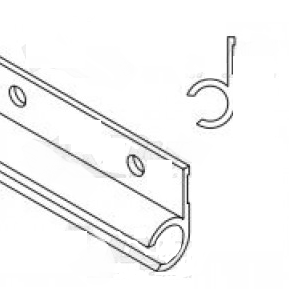 This is the rail that attaches to the RV and holds the fabric on the RV side when the awning is in the open position. The opposite end of the fabric will be attached to the roller tube. This rail is satin in color. Approx 1-1/2" tall overall with a 1/4" rope channel.